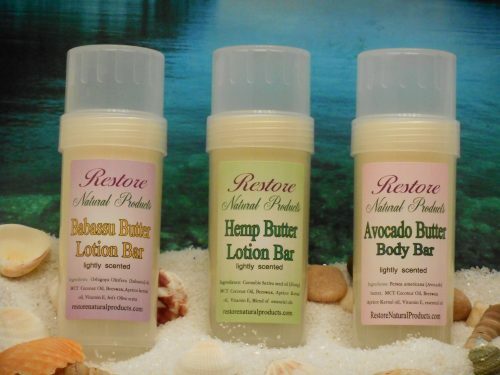 Butter Body Bars – All Natural Butter bars to use in place of lotions. 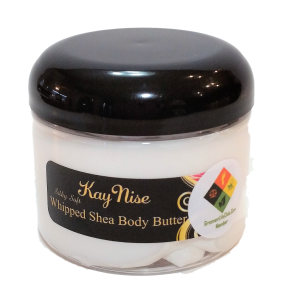 Product Name: Butter Body Bars – All Natural Butter bars to use in place of lotions. Short Product Description: Glides on and stays on. No need to keep re-applying like lotions. These also set up a moisture barrier on your skin. Comes in 3 varieties. Avocado – Hemp – Babassu butters. Our Natural Lotion Bar is packaged in a 2.5 oz round tube to make application on the body clean and neat. Apply by gliding lotion bar on skin then rub in to other areas. These wonderful bars are lightly scented so as not to conflict with any perfumes or scents you may otherwise apply. These bars take the place of body lotions that need to be applied often, especially on dry skin. These have been found to heal broken skin one heels and elbows and knees. Glides on easily – Replaces bottles of lotion which are mostly water, leaves a moisture barrier also.